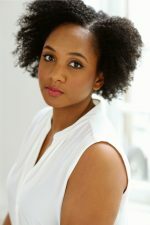 Eisa Davis is an award-winning performer, composer, and writer. Her writing work includes the Netflix series She’s Gotta Have It, Cirque du Soleil’s Crystal, and the plays The History of Light, Ramp, Warriors Don’t Cry, Hip Hop Anansi, and Paper Armor. She is currently writing the music theatre works Flowers Are Sleeping and Devil In A Blue Dress with Walter Mosley. Her albums of original music are Something Else and Tinctures, selections from which she performs at venues throughout New York and the US. She has been artist-in-residence at Symphony Space, a member playwright of New Dramatists, and a fellow at Cave Canem, UCross, the MacDowell Colony, and Yaddo. Her awards include an Obie for Sustained Excellence in Performance, a Helen Merrill, and the Herb Alpert Award in Theatre. 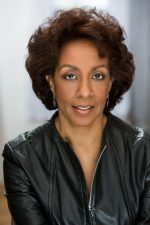 Angela's Mixtape was named a best of the year by The New Yorker, and she was a Pulitzer Prize Finalist in Drama for her play Bulrusher. You may have seen her on stage and screen in "Succession", "Rise", "The Looming Tower", "House of Cards", "Hart of Dixie", "Soul Food", "The Wire", or "Passing Strange". Eisa would like to thank her family for dealing so gracefully with this play and for giving her her name. Adrienne is happy to be returning after directing CRUMBS FROM THE TABLE OF JOY by Lynn Nottage in the 2016 season. 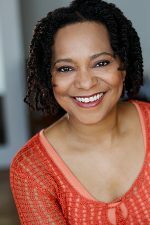 Adrienne lives in Manhattan where she has directed such plays as PIPELINE, A LIMBO LARGE AND BROAD, BEFORE IT HITS HOME, THE COLORED MUSEUM, JUST PASSIN THROUGH, BLUE WINDOW, ANTIGONE, IPHIGENIA AT AULIS, JOE TURNER’S COME AND GONE, ZOOMAN AND THE SIGN, and INTIMATE APPAREL. She was also honored to direct the US premiere of DEMOLITION OF THE EIFFEL TOWER by Albanian playwright, Jeton Neziraj for Project 9/11. She teaches and directs on the faculties of Juilliard School of Drama, NYU Tisch Graduate Acting, Marymount Manhattan College, Hunter College, City College of NY and American Academy of Dramatic Arts. As an actress, she has performed for 20 years in many stage plays, musicals, television and film projects. Her MVP performances include Rose in FENCES, and Joan Honeyman in A WALK IN THE WOODS. This work is dedicated to the warrior women that raised me and guide me as ancestors each day. Nora is a veteran performing artist, director, playwright (KATHERINE’S COLORED LIEUTENANT), teacher and coach. Career highlights: with George C. Wolfe, JELLY’S LAST JAM and ON THE TOWN (B’Way & Nat’l Tour), CAROLINE OR CHANGE (National Theatre/London). Rinde Eckert’s, AND GOD CREATED GREAT WHALES (Foundry Theatre with The Culture Project, Drama League & Audelco nominee). Regional: FENCES, GUESS WHO’S COMING TO DINNER, TO KILL A MOCKINGBIRD, DOUBT, ON GOLDEN POND, YOU CAN’T TAKE IT WITH YOU with Robert Vaughn, AVENUE X, MEDEA (Vinnette Carroll) and THE COLORED MUSEUM. Solo shows: OLIVIA’S OPUS and VOICES OF THE SPIRITS IN MY SOUL (Audelco nominee). 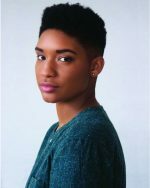 Recipient: TCG/Fox Foundation Resident Actor Fellow at Geva Theatre Center, Hedgebrook alum, Black Theatre Torch Bearer and Spencer Cherashore Individual Artist Grantee. IMDb.me/noracole. This is Jules’ first time performing at the Playhouse and she couldn’t be more thrilled. Currently she is entering her third year at the Juilliard School. Her recent credits at the school include: CAUCASIAN CHALK CIRCLE, TWELFTH NIGHT, THE OWL ANSWERS, and THE CHERRY ORCHARD. Erin is thrilled to be making her Martha's Vineyard Playhouse debut! Regional credits include: KUNSTLER (Barrington Stage Company), ALL’S WELL THAT END’S WELL, OTHELLO, TWO GENTLEMEN OF VERONA, A MIDSUMMER NIGHT’S DREAM, THE WINTER’S TALE, PYGMALION (The Old Globe), HEIST!, POST WAVE SPECTACULAR (Humana Festival at Actors Theatre of Louisville), HENRY IV, PTS. I & II (Actors’ Shakespeare Project), DONE (Providence Black Repertory) New York credits include: THE MAID'S TRAGEDY (Pocket Universe) ASKING FOR TROUBLE (Ensemble Studio Theatre) HOTTENTOTTED (ANT Fest, The Tank) Television: Forever (ABC). Training: BA, Brown University. MFA, Old Globe/University of San Diego. Sarin is entering her second year at NYU Graduate Acting. She is thrilled to be joining such a standout group of women in her first trip to the Vineyard. Fueled by love, art, and activism, she is grateful for this opportunity to support this legacy of Beautiful Blackness in amerika. Recent credits include THE SEAGULL and GLENGARRY GLEN ROSS (NYU), VANISHING POINT (NYFringe), HAMLET (NYSX), A MIDSUMMER NIGHT'S DREAM (NYSAF). Thanks to Adrienne and MVP for this opportunity. Love to Mom, Daddy and the class of 2020. You can catch her playing Esther in INTIMATE APPAREL at NYU in October. Stay tuned @sarinmonae! Her mother is a lawyer and activist, her aunt is Angela Davis, but who is she? In this spirited autobiographical comedy, Eisa Davis pays affectionate tribute to her unorthodox upbringing in Berkeley, California. Share her journey as she balances friendships, piano lessons, and boys with her politically passionate family and the wider world beyond. Angela’s Mixtape premiered in New York in 2009. The author, Eisa Davis, played herself in that production, and here she is talking about her joyous experiences growing up in her family, the powerful values that remain with her, and why she wanted to honor those values by creating this “mixtape” for the stage. clips from Angela’s Mixtape from eisa davis on Vimeo.